Grapevine Therapist: Cheryl Rutherford - Therapist 76051. Send A Message To Cheryl. Session Fees: We offer a sliding scale fee that is determined by household income so that marital help is more accessible. 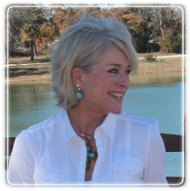 Cheryl J. Rutherford, LPC, is a native Texan and is married with a blended family with three children ages 20, 28 and 37, as well as five grandchildren. A lot of the experience she brings to the counseling relationship has been earned through personal challenges and choices and the restoring work of God and His Word, as well as working for three years for Steve Barns & Associates in Denton before opening her private practice in historic Grapevine, Texas, in 2009. Mrs. Rutherford has a variety of experience with engaged couples, newly married couples and blended families. She also has spent time working with adolescents in a hospital setting, as well as outpatient and long-term family of origin therapy. Our commitment is to bring healing and hope through a strong perspective of grace. We focus on cognitive and behavioral therapy, in conjunction with faith based counseling, along with an eclectic mix of various therapeutic modalities. Boundary issues are a main topic in so many relationships, and we use that framework to bring balance to many people and their families and relationships. HOW DO YOU WANT TO SPEND THE REST OF YOUR LIFE?? Have the courage today to choose change in some area of your life that you have been struggling with. Help is near and you can take charge of your life today!! !